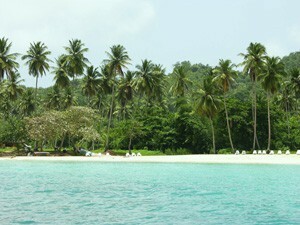 Playa Rincon Beach Samana - Attractions & Activities in Samana Dominican Republic. 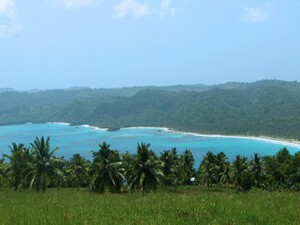 Playa Rincon is located about 25 kilometers from the Port of the Town of Samana. 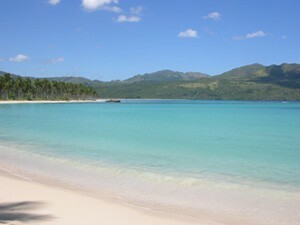 This spectacular secluded Caribbean beach is one of the most beautiful in the Dominican Republic, and was rated as one of the 10 Best Beaches in the World by Conde Nast Traveler. 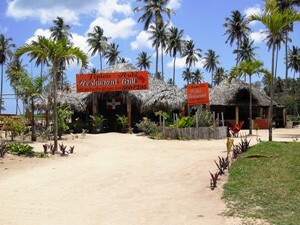 The white sand beach stretches about four kilometers and remains very secluded, far away from any resorts or hotels, only a few Restaurants and Bars are to be found on the beach. 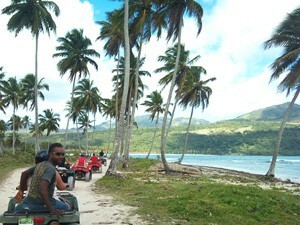 One of the best way to get there is by renting a Jeep or with an ATV Four Wheelers vehicle to ride on the less-than-perfect roads leading to this piece of tropical paradise. 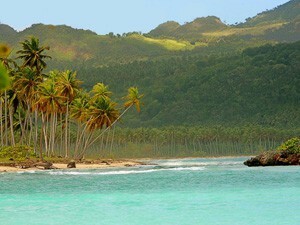 Also, another great way to get to Playa Rincon is by renting the services of a small boat to hire easily found on the beach of Las Galeras fishing village located at the end of the Samana Peninsula. The boat ride itself from Las Galeras to Playa Rincon is truly scenic and makes for superb photography along the coast to get there. 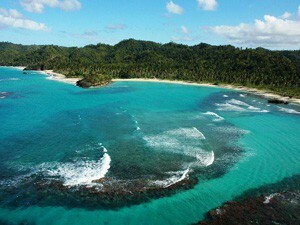 The Rincon beach is surrounded by the 600-meter cliffs of Cape Cabron, and a row of palm trees that run along the white sand and turquoise water. 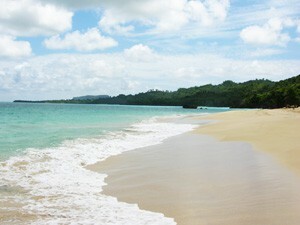 Playa Rincon is simply pure paradise, not-to-be-missed while vacationning in beautiful Samana.